Celebrating with a theme of “16 in 16”, representing the 16th anniversary this year, the Irish Film Festival Boston (March 10-13) will feature screenings of more than 45 films all presented at Somerville Theatre in Davis Square. IFF Boston announces its awards prior to the event, allowing directors, producers and actors to attend screenings and take part in post-screening talk backs. BA Events, who bring the renowned Ras na hEireann to the Somerville Theatre, continue their premiere sponsorship of the festival. The festival is also supported by Culture Ireland as part of the Ireland 2016 Centenary Programme and in part by the Somerville Arts Council, a local agency supported by the Massachusetts Cultural council. Highlights at the festival this year include festival opener ‘You’re Ugly Too’ (March 10th), which is being awarded with the Best Breakthrough Feature Award. Best Short film will go to first time filmmaker Kev Cahill’s comedy ‘More Than God’. The Director’s Choice Award will go to Alex Fegan’s ‘Older Than Ireland’, which will screen on March 11th. Director Alex Fegan and Producer Garry Walsh will be on site for the screening. Fegan makes his second appearance at the festival having screened The Irish Pub two years previous. Director Andrew Kavanagh will appear at the screening of his short film and true story City of Roses, this years Director’s Choice Short Film Award. Irish Consul General Fionnuala Quinlan opens the evening’s events. Saturday, March 12 showcases a screening of laboriously created Global Vision Documentary awardee ‘Unbreakable: The Mark Pollock Story’. Director Ross Whitaker makes an appearance at the screening, followed by a talk back. 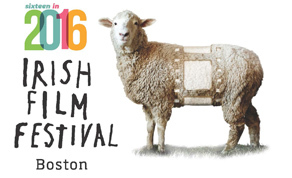 Throughout the remainder of the weekend, popular short film screenings are held featuring contemporary Irish talent. Special guests include well-known Irish comedian and actor Pat Shortt, on site for screenings of his film work including the feature ‘Garage’ by 2016 Oscar-nominated director Lenny Abrahamson and comedic short film ‘Space Man Three’. Later Saturday night, Simon Fitzmaurice’s life affirming coming-of-age road movie ‘My Name is Emily’ makes its U.S. premiere starring Harry Potter’s Evanna Lynch. Sunday, March 13 delivers an array of film screenings marking the 100th anniversary of Ireland’s Easter Rising in 1916. Supported by Culture Ireland as part of Ireland’s 2016 centenary, the festival hosts the U.S. premiere of all nine short films in the Irish Film Board’s After '16 Program, Neil Jordan's historical biopic of Irish revolutionary Michael Collins will also celebrate its 20th anniversary at the festival. The film stars Liam Neeson in the title role, who has just been announced as this year’s recipient of IFTA’s Outstanding Contribution To Cinema Award. The Woman’s’ Council - Women of the Revolution screens on Sunday afternoon, showing with recently discovered first Irish sound film A Night of Storytelling by Robert Flaherty, from the Harvard Film Archive. Closing the festival brings festivities stateside with The Mayor of Boston, My Son, a documentary about Boston’s own Mayor Marty Walsh, followed by the film ‘An Klondike’, a unique Irish language western tale featuring Walsh’s own Connemara home town of Ros Muc, Ireland. For more information on the festival as well as ticket prices and how to purchase, visit www.irishfilmfestival.com.